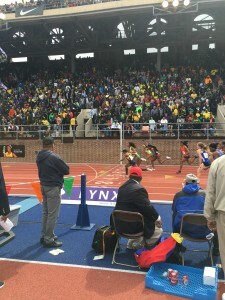 The 2016 Penn Relays held at Franklin Field at the University of Pennsylvania on April 28 – 30 were the first run on the new Rekortan track. Speed was expected and the relays did not disappoint. Several records and bests were set on the new Rekortan track surface, in spite of difficult wind and weather conditions. Although the focus was on the “USA vs. The World” and “Championship of America” events on Saturday, a world record by Ida Keeling, age 100 stole the show. 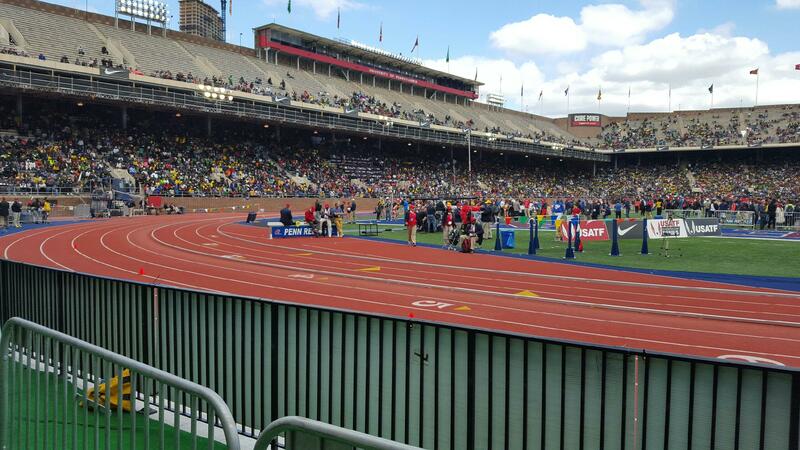 The Shenendehowa High School 4×800 meter relay team set a Penn Relays record by over 2 seconds. The Kingston College (from East Kingston, Jamaica) 4×100 Championship of America team won while tying last year’s Penn Relays record for High School Boys, with a time of 39.63. Obrien Wasome of Kingston College beat Sanya Owolabi’s 1978 Penn Relays record in Triple Jump with a 16.01-meter jump. The US won 5 of 6 in the “US vs. The World” competions. Jamaica won the Men’s 4x100m relay, the U.S. team won the Women’s 4x100m relay and the Men’s and Women’s 4x200m and 4x400m relays. 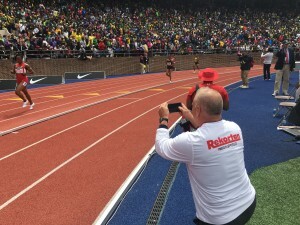 The University of Pennsylvania, the “home team” which runs on Franklin Field where the Penn Relays are held, won the Men’s 4xMile relay, its first win at the event since 1974. Penn State University scored big with over a dozen top-3 finishes across the track and field competitions. Highlights for the Nittany Lions included wins in the Men’s 4×800 and Distance Medley events. The University of Tennessee women’s distance relay team won three races for the second consecutive year – the distance medley, 4x1500m and 4x800m. The Rekortan® Track System creates world-class polyurethane running tracks that are unmatched in quality and performance. Known since its debut in 1969 as “the fast track”, Rekortan continues a tradition of excellence, supplying the most technologically advanced running surfaces in the world, used at international, collegiate and scholastic venues. An IAAF approved product, Rekortan’s innovative design increases force reduction, resists UV degradation and provides excellent all-weather performance. For more information, visit the Rekortan page on this site. 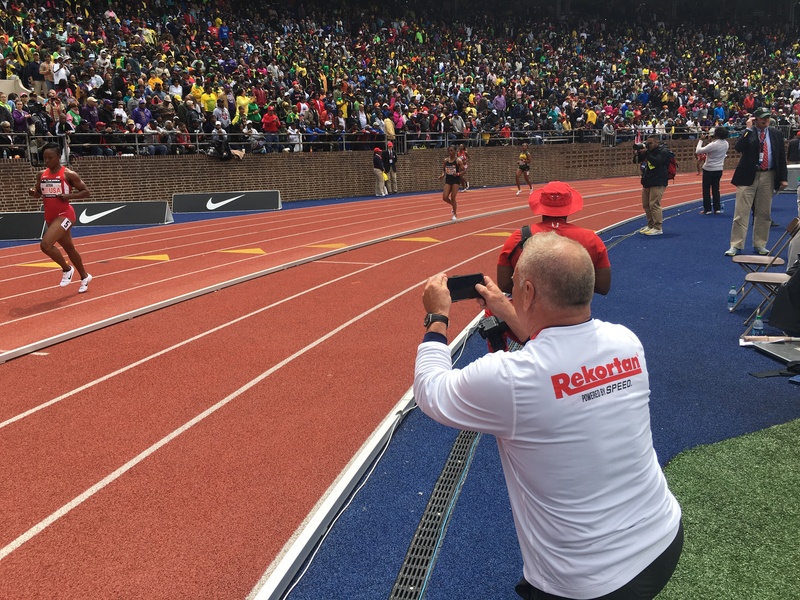 These are just some of the highlights from the Penn Relays run on the new Rekortan track surface. 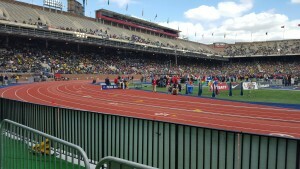 For more information on the Penn Relays visit thepennrelays.com. 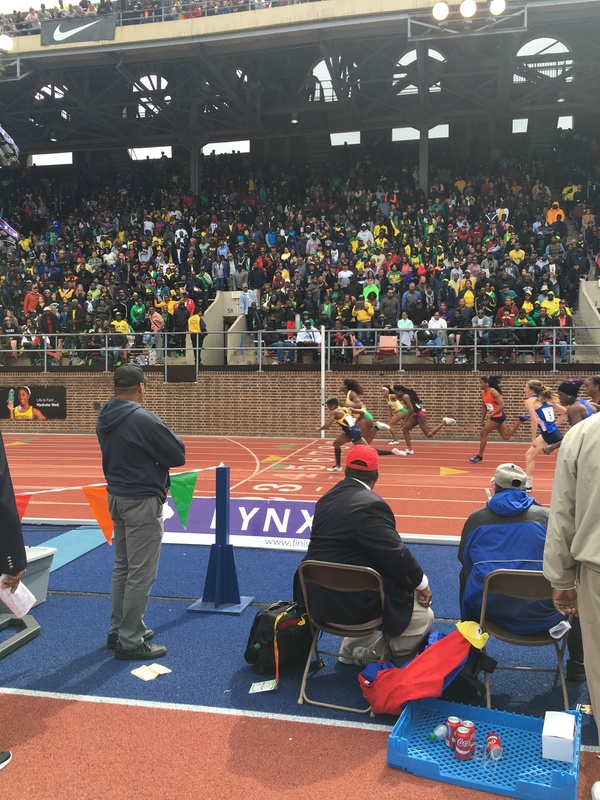 Action from the 2016 Penn Relays at Franklin Field, University of Pennsylvania, April 28 – 30.